Yesterday was Monday, and you know what that means: a play-by-play of SGA (and corny rhymes). 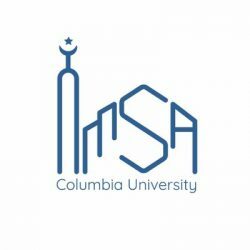 This week, Columbia University’s Muslim Students Association and the up-and-coming Black Muslim Students Association (MANSA) talk problems—and solutions—with Barnard’s SGA. As usual, SGA opened with some announcements, including the First-Year Winter Formal on March 10th, the Capital Investment Fund set for February 24th, and the ongoing search for the VP of Equity and Community Engagement. However, the bulk of the meeting focused on proposals from both Muslim organizations MSA and MANSA. The main issue MSA brought up was the condition of the current prayer space, located in the basement of Milbank. A representative of MSA called it “unclean, unhygienic, and dissatisfactory.” Survey results from other Muslim students on campus also accused Barnard of “[making] no effort to change it or to move it until someone comes forward,” showing how the school lacks commitment to keeping the space clean, tidy, and useable for Muslim students. They were also discontented with the prayer space being called a “prayer and meditation space” rather than a “Muslim Prayer Space,” as this ties yoga to the space and prevents it from being exclusive to Muslim students. MSA, however, has worked to propose a new and improved prayer space that will be located in LeFrak. The new prayer area will be adjacent to a room where Muslim students can find comfort and read various religious texts. It will also be officially called a Muslim Prayer Space, creating a more overt safe space for Muslim students where it will be easier to build a community with each other. MSA also proposed QFaith, an interfaith space where LGBTQ+ individuals of faith will be able to participate in various activities and ultimately feel more valued as a community. The group will meet in Earl Hall, the center of historic LGBTQ+ activism at Columbia. Here, people living in the intersections of gender and religion will find a centered, communal space open to people of all faiths and gender orientations. Additionally, Muslim House is opening next semester—a living-learning community geared towards a safer environment for Muslim women. It will initially only be open to CC and SEAS students, but they hope to accept Barnard students in the following years. In other news, the new club, MANSA, also known as the Black Muslim Students Association, is working to be officially recognized as a student organization on campus. This club is centered around Muslims of African Diaspora, a faith-oriented organization where they hope to create dialogue to raise awareness of microaggression, racism, and Islamophobia. They also want to provide representation for Muslims who are not of Arab or Middle Eastern descent or present that way. In the meeting, MANSA talked mostly about the lack of halal options on campus. According to one of the representatives, servers tend to be uninformed about halal options and cross-contaminate across food, especially in JJs and Hewitt. They proposed that Barnard provide better training for dining hall staff handling halal and that Hewitt hours be extended in preparation for Ramadan to avoid food insecurity for halal students. Apparently, even NYU already has a fully halal dining hall (come on, Barnard)! Good work SGA, MSA, and MANSA! We look forward to more progress and inclusivity coming into campus. @anon Barnard does not have a gym, a pool, any athletic facilities or fields. We really need to rethink all these single use lounges and think about the entire student body as a whole. We need to open spaces that serve the majority of students.